Personally, I believe that there is no better treat in the whole entire world than a handful of colorful macaroons! They are just so yummy and I love trying all of the different flavors with a good cup of hot tea! My mouth is seriously watering as I am writing this. 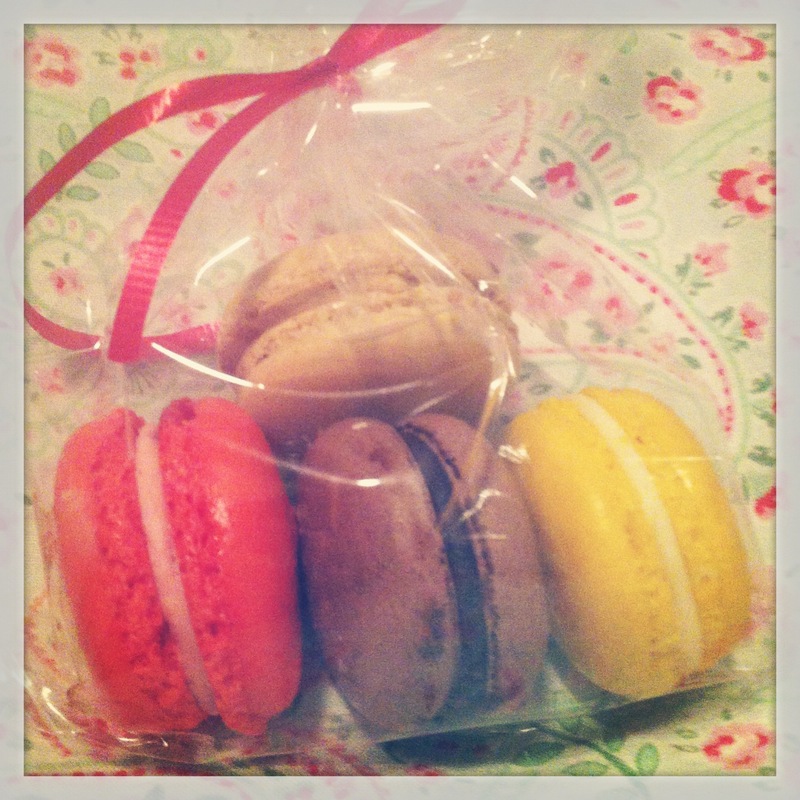 But check out the macaroons I picked up from a little patisserie near the Kirkland waterfront. The little red framboise was definitely my favorite! So yummy!